Are you looking for a personal trainer in Sterling? Working with a trainer is the most effective and safe way to reach your goals. 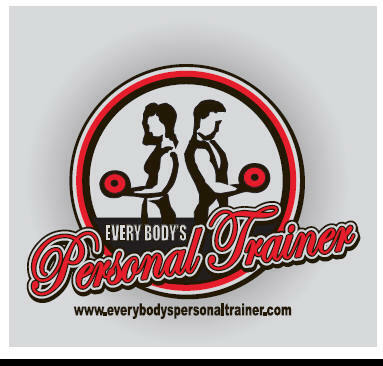 If you are looking for personal trainers in Sterling look no further. Our certified staff will design a workout program specifically tailored to target your individual needs. We offer fitness and nutritional programs for people of all ages and fitness levels. If you have a goal, we can design the program that will help you to achieve that goal quickly, and in a safe manner. We know you are busy and sometimes don't have the time. That's why in home training is so beneficial, we will bring the gym to you! No more having to take all the time to run out to the gym, our staff will meet you at your front door. So no more wasting time, workout in the convenience of your home with one of the best trainers Northern Va has to offer. Below you can view, and read, about our personal trainers in Sterling. Have an in home personal trainer get you into the greatest shape of your life today!!! "Sterling's Best In Home Personal Trainers"
2.) The encouragement received from an in home personal trainer is very motivating. Lets face it, working out can be tough, and sometimes boring. Our fitness pros will be with you every step of the way, encouraging and motivating you to achieve your goals. Do you find yourself too tired to workout sometimes, let our trainers use their energy and enthusiasm to help you through those tough workouts. 3.) Our personal trainers in Sterling will give you accountability! Do you find that you are missing workouts? The gym isn't going to call you and ask where you are. With an in home personal trainer, you have an appointment. Our fitness pros will be there regardless, no more excuses not to get your workouts in. We'll motivate and give you accountability. 4.) The knowledge of the personal trainers is very beneficial. How often do you find yourself wondering what to do and where to start? Let our staff take all of the guess work away, thus preventing wasted time. As the owner of the company, and a personal trainer himself, Eric Leader has taken it upon himself to hire only the best of the best. He has hand picked the best fitness professionals, with the highest degrees and certifications in the field. 5.) Safety, and learning how to use correct form while performing exercises. Preventing injury is extremely important, learn how to use correct form and workout safely. 6.) Constant support. Any time you need us, we are just a phone call away. It doesn't matter day or night, we are hear to support you in achieving your goals. Call us from the grocery store, from the hotel, it doesn't matter, we are here. Our clients are also our friends, and your goal is our goal. We will do anything we possibly can to see that you reach your goals. 7.) Programs are tailored to the client's specific needs and wants. Everyone has a different goal and starting point. Our fitness professionals will write a program specifically targeting your individual needs. Our programs will assess not only your fitness regimen, but your diet as well. No matter what the fitness level or background, we have the programs to suit your needs. 8.) With an in-home personal trainer, results come a lot quicker. No more missed workouts and ineffective routines. Our trainers will write a fitness and diet program for you, and be there with you to execute it. We'll keep you consistent with your workouts and diet thus yielding great results. 9.) Having a personal trainer prevents against wasted time in the gym trying to achieve goals. Why waste time looking at the machines trying to figure out how to use them? Our fitness pros will write a program specifically targeting your goals, and be there every step of the way to execute the plan. In addition, our fitness staff will perform fitness evaluations measuring body fat, circumferences, and strength and endurance. These evaluations help to ensure that you are on the right path towards achieving your goals. 10.) It's fun!!! Our staff will use their creativity to make working out fun, not just a chore. We'll take you outside, to a track, or even use boxing, in order to keep you excited about your program and working out. Lets face it, if it's not fun, you are not going to want to do it, and stick to it. Part of what makes a great trainer is creativity along with effectiveness. We know you'll enjoy your workouts with our trainers. We at Every Body's Personal Trainer would love to help you achieve a healthier, and more active lifestyle. Our in home personal trainers are very passionate about what they do, and would love to assist you in making fitness fun and exciting, not just a chore. Our in-home personal trainers will start you off with a free consultation. The consultation is your chance to get to know your personal trainer, and we recommend having plenty of questions to ask. Our personal trainers in Sterling are the best of the best, and we want to prove it. Many of our personal trainers live in Sterling, and would love to give you a great workout in the comfort of your home. Our personal trainers in Sterling will show up at your home, with everything needed to give you an awesome workout. Are you ready to get the results you have always wanted? If so, maybe it's time to get you started with a free, no obligation consultation with one of our in-home personal trainers in Sterling. So what happens at one of these consultations with the personal trainers? At the consultation, our in home personal trainers will also ask about your current exercise patterns, you goals, as well as your past injuries and areas of concern. Our personal trainers are here to help, and we want to know everything about you (almost everything :). We at Every Body's Personal Trainer consider our clients our friends, and we all have one mutual goal, ACHIEVING RESULTS!!! It doesn't matter when, our personal trainers in Sterling are always there for you. Rain or shine, our in home personal trainers will be at your door, excited to give you a great workout. So lets get started today!!! What Can A Personal Trainer In Sterling Do That You Can't Do Yourself? When you’re trying to get into good shape, one of the things that might occur to you is to hire a personal trainer to help you. However, you’re probably considering other options as well, such as just going jogging or getting a gym membership or an exercise bike. You might be wondering if having a personal trainer justifies the time and expense of having someone dedicated to advancing you in your fitness goals. We think the answer is yes! However, before you just take our word for it, here are some of the things that having a personal trainer can do for you. The truth is, there are some things that are just difficult or impossible to do for yourself. Having a trainer can help to ensure that you don’t have any training gaps or miss any of the benefits of the exercise you’re doing. One of the classic mistakes that people make when they are exercising is doing the movement with improper form. This can lead to the movement being more difficult than necessary, or a reduction in the amount of benefit that you’re getting from that exercise, or in the worst case scenario, even an injury. A personal trainer will be able to evaluate your form and make corrections to ensure that you’re maximizing the benefits you reap from your workout. Many people have the idea that the only time they need someone to evaluate their form is when they’re doing a totally new and unfamiliar kind of exercise. “I’d want someone to evaluate my form if I started using the rowing machine or doing pull ups, but I definitely know how to walk and run. I’ve been doing that all my life.” However, even when you’ve been doing something for years, a trainer can benefit you. You might have been doing it wrong all those years. Even if you were trained how to do it properly, you might have slipped unconsciously into a bad habit. Or you might have had a minor injury, like a sprain or a broken toe, that imperceptibly altered how you did that movement, and now your brain has forgotten that you ever did it any other way. Most people benefit tremendously from working with a personal trainer who can evaluate and correct their form in each exercise. It’s a well-known fact that gym memberships get neglected and the best of resolutions to work out easily get shuffled to the side. Everyone is busy, and the tyranny of the urgent often gobbles up the time we had set aside for working out. However, there’s just something about having a personal trainer in the picture that will help to overcome that tendency for everything to crowd out your fitness routine. This is especially the case when your personal trainer can come right to your house and spare you the hassle of driving to an external site. Have one of Sterling's best personal trainers work with you in the comfort of your own home. Our personal trainers in Sterling, Virginia will bring the equipment necessary to give you a great total body workout in the convenience of your home. Give us a call today to get started on your path to achieving your goals with one of our in home personal trainers in Sterling.